An all-star panel of women at The Strong National Museum of Play talked about their inspirations, hurdles they've had to overcome and what advice they have for other women in the games space. Women have played key roles in creating landmark video games throughout the history of the medium. 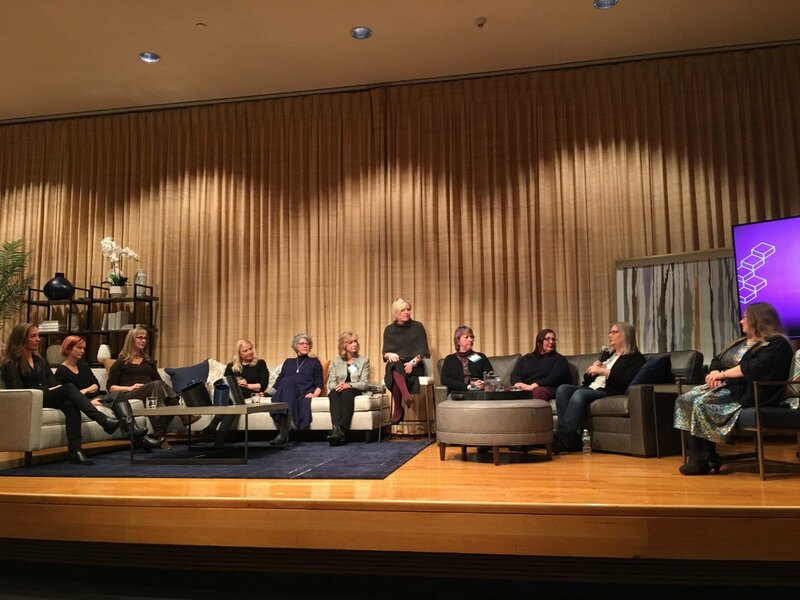 At a special Women in Games event held at The Strong National Museum of Play, a panel of women representing both past and present in gaming took the stage to discuss what inspired them to get into games and what challenges they’ve faced in an industry been dominated by and often caters to men. Speakers included Uncharted creative director Amy Hennig, 343 founder Bonnie Ross, Centipede co-creator Dona Bailey, former Her Interactive CEO Megan Gaiser, executive director of the International Game Developers Association (IGDA) Jen Maclean, Purple Moon founder Brenda Laurel, Atari game box illustrator Susan Jaekel, EA and Origin Systems designer Sheri Graner Ray, and Victoria Van Voorhis, CEO of Rochester-based Second Avenue Learning. Coinciding with the event, The Strong has unveiled a new Women in Games exhibit, and President Steve Dubnik said that there’s “not a more fitting place to celebrate the history of women in gaming.” A salient point, given that the museum hosts the World Video Game Hall of Fame, and Rochester, NY itself has played a major role in activism as a home for women’s rights champion Susan B. Anthony and Underground Railroad leader Harriet Tubman. The Women in Games event kicked off with a series of microtalks in which the women discussed their inspirations. While Bailey remarked that she’s “a little past inspiration” at her age, she did stress that higher education is always a good place to seek it. A few of the women mentioned Dungeons & Dragons as being particularly inspiring. 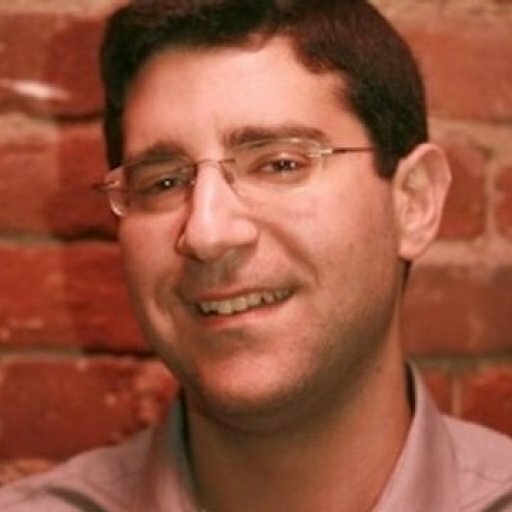 Hennig noted that the tabletop roleplaying game enabled people to tell their own stories and create characters out of nothing. For Graner Ray, the pull of D&D was so hard to resist that she took out an ad in her school paper to find someone to teach her the game. Next thing she knew, she had moved to Austin, Texas and was running her own weekly D&D game. Then one day she connected with Warren Spector at Origin and he brought her on board. Whether it was with pen and paper or on a computer screen, Graner Ray said she’s always been inspired by that “magic moment” games provide, and to be able to give the audience a chance to escape into another world. Creative influences aside, women have faced an uphill battle in the games business and technological fields at large. Laurel, whose company Purple Moon has been dedicated to making games for young girls, observed that problems often surface at a young age. The differences between boys and girls were apparent in her own daughter’s school, where in the computer lab all the boys would run up to the front of the room while the girls would sit at the back and would be afraid of breaking the computers. “What would it take to get girls to put their hands on a computer in 1992?” she asked. Ross, who acknowledged that she probably wouldn’t still be in technology if it weren’t for games, commented on Microsoft’s research into why more women weren’t going into engineering. The study found that the drop off often does happen around middle school. The research resonated with Ross because 90% of young girls see themselves as creative but they don’t see technology as creative, which is how she felt before she got into games. “How do I connect the dots? How do we use technology to empower art and storytelling?” she said. 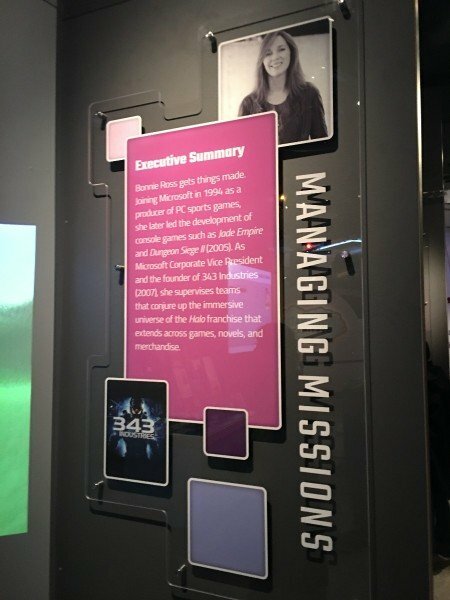 That’s exactly what she’s gone on to do with Halo, of course, and she’s passionate about inspiring more women to pursue careers in games. “We are world makers… What world are you going to build?” Ross asked. Van Voorhis, who used to be a school teacher and now creates educational games, has seen the same patterns with young girls leaving STEM during middle school. Because “a child’s first teacher is play,” she was inspired to get involved with games. She had been witnessing kids who were simply not passionate and engaged with play in her classroom. “When you design for education you don’t have the luxury to design for one demographic. When you have to design for everyone, you can create opportunities for people to see themselves in new roles and aspire to new things. Through the power of play we have the ability to change lives,” Van Voorhis noted. MacLean has seen the impact that lack of representation can have. She was an avid gamer growing up, and she even took pictures of her high scores in Pitfall and physically mailed them in to Activision. As proud as she was of her gaming skills, she was disappointed that she was playing as Pitfall Harry, not Pitfall Mary. In an impassioned speech, MacLean offered that everyone in society needs to rise up as the true inspiration for games. “Where we are today is not where we could be and where we should be,” she said. “We need every single person in this room because we have so very far to go. Because while my daughters might see themselves in games now, I can’t help but ask myself, ‘Where are the Latina heroines or the Asian or Black heroines? Where are the heroines with disabilities or who are lesbian or queer or transgender? Where are our nonbinary characters?’ This matters so deeply to me because we, as creators of art -- and I believe we are all creators because by the mere act of playing a game you create an experience that is art -- wet have a responsibility. We have an obligation not just to show the world as it is today but the world as it could be and as I believe it should be. “We have an obligation to create these amazing stories that are diverse and inclusive. We should be reflecting and showcasing not just women in games, but the amazing and wonderful spectrum of all genders, of all skin colors, of all religions, of all experiences. In her microtalk, Gaiser, who was one of the very first female CEOs in the games business at Nancy Drew publisher Her Interactive, said that in order for women to have a fair shot, the systems that are in place have to be redesigned. The toxicity that we see not only in the games industry, but across swathes of society, are clearly hurdles to overcome. “What’s become clear is that a lack of conscious awareness perpetuates bias… And it’s so deceptive that [all] genders have been set up to become either victims or perpetrators of bias, or both. [We need] for the diversity of humanity to demand that we replace the flawed leadership that has authority with leadership that has sage and benevolent behavior. [That’s obviously] not the way we’re currently doing things, but we could because the shift is here. Ultimately, Gaiser believes we need to “upgrade” ourselves so that we can improve the way we conduct ourselves across every industry. “Imagine leadership teams as wisdom keepers. Imagine a game industry where men and women feel safe enough to bring their entire selves to truly collaborate,” Gaiser continued. “Imagine reshaping the role of HR to become HIR, Human Inspiration Resources. Issues would no longer be the focus. Human evolution is not industry specific. It is a worldwide event happening in real-time. "Creativity is the most valuable leadership skill in the 21st century. And it also represents a radical act of freedom, offering possibility in every moment to sidestep what’s not working to make something better, including ourselves." In the roundtable session that followed the microtalks, Gaiser stressed that every single department across business needs to be reimagined. While that's both inspirational and aspirational, there are things that women in games need to be aware of in the current landscape. Van Voorhis noted that one of these things is the way men control capital, making it harder for women to obtain the resources they need to become leaders. She said that under three percent of VC money goes to women today. “Until we control the capital ourselves, we’re not going to see the growth that we can,” she lamented. Another major issue that MacLean alluded to in her talk is the lack of role models in games. This is something that has to change. Ross observed that it doesn’t have to mean pushing girls towards technology or STEM in general, either. 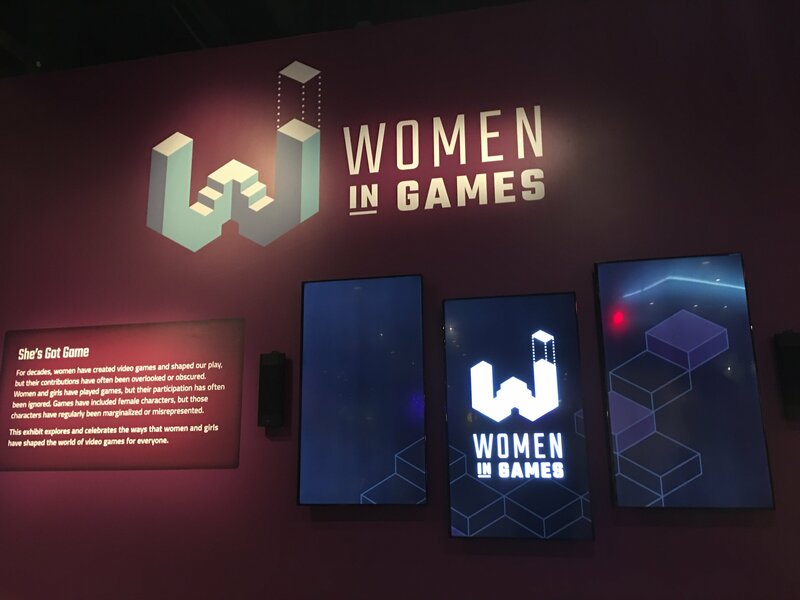 “Women don’t see what you can do and how they can have a role,” she said, noting that games offer so many other roles, including writing and art. You don’t have to be a programmer. When someone in the audience asked how progress would be possible when the industry is saddled with a “gamer” community that has become so toxic, Graner Ray was hopeful. “This audience is the future, it’s y’all,” she said, pointing to the crowd. The audience in attendance was a diverse group, and it’s something that we might not have seen even five years earlier, Graner Ray said. 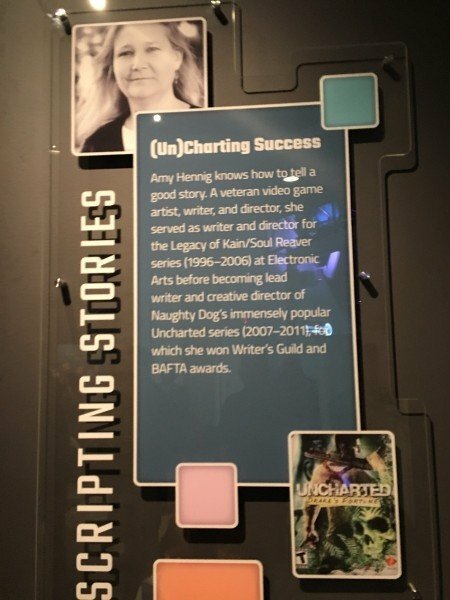 What was clearly evident from the event at The Strong National Museum of Play is how much women in the industry look out for one another, and “we’re seeing men step up” too, said Gaiser.